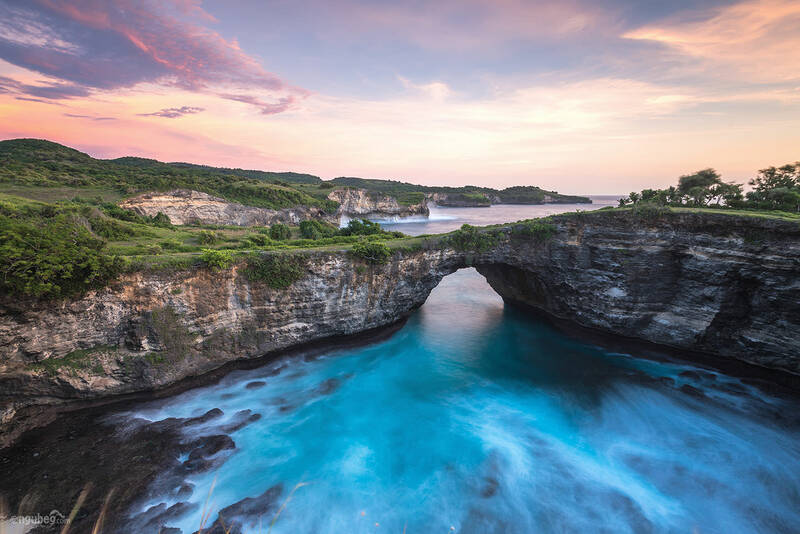 Directions: This place located in Nusa Penida island. 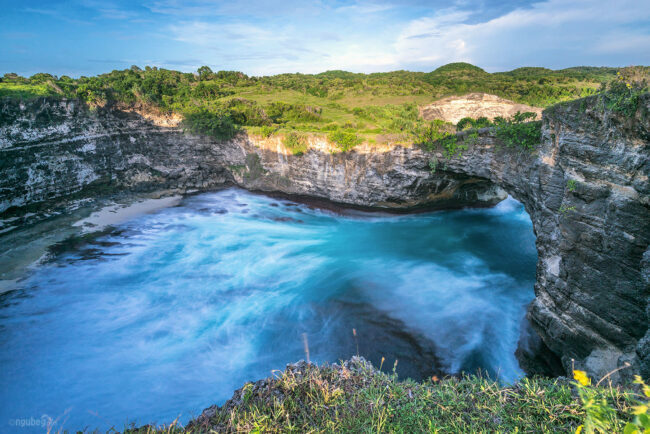 It is in the Klungkung area, Bali. We have to use ferry or fast boat to reach this island. 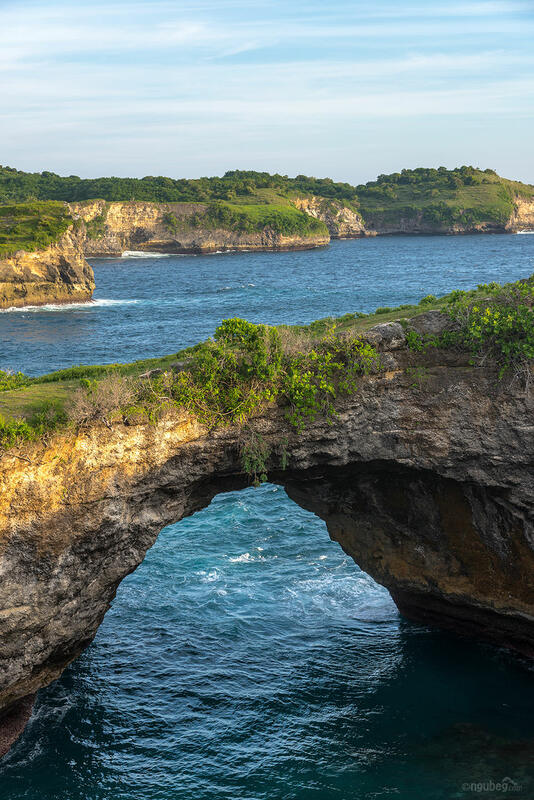 There is almost no public transportation in Nusa Penida, so better to rent car or motorcycle right after you arrive at the harbour. It will take around one and a half hour from Buyuk harbour or an hour from Toya Pakeh harbour. Pasih Uug also known as Broken Beach, because there is a hollow cliff that looks like a large well. Not only beautiful scenery, there are many manta rays around this place. You can see them if you are lucky. 1. Bring flash light and headlamp if you are planning stay there until the sunset. 2. Prepare your own meal and drink.